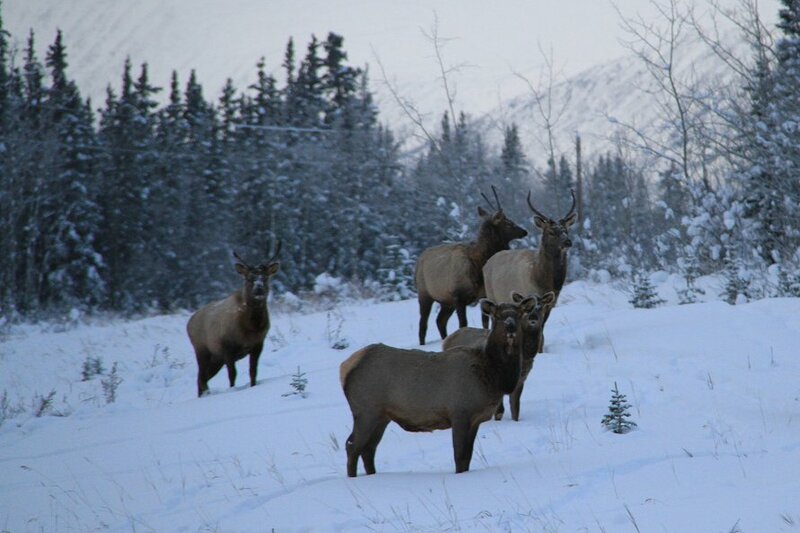 Elk (Cervus Elaphus) are often seen along the Alaska Highway west of Whitehorse. This is the northern limit of elk range, and although elk do occasionally migrate up from British Columbia, the vast majority of our 300-odd animals in the Yukon are descendants of elk that were imported starting in the 1940s. This photo was shot near Km 1497 on December 14, 2012.